It felt almost like Spring yesterday. 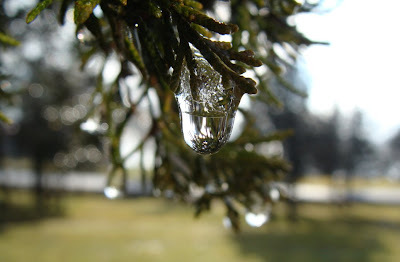 The heavy rain of Boxing Day had melted a lot of the snow and the daytime temperature was above freezing point after a ten-day stretch of being below it. 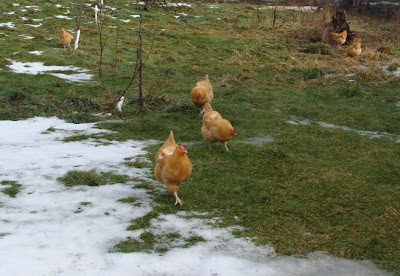 The chickens got to roam the orchard for the first time since the big snowstorm on 9 December. 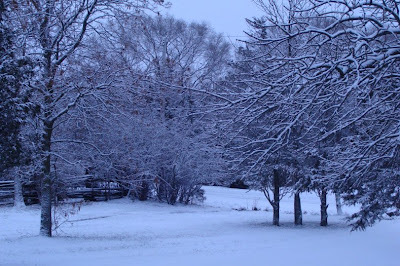 This morning, though, it's back to regular winter. Lovely indications of contradictory weather. Hope you had a Happy Christmas, Amanda - and Best Wishes for 2010.